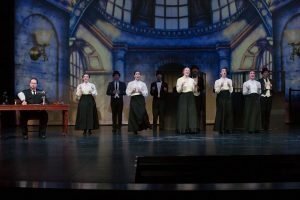 Most people remember the Disney film Mary Poppins but now there is a live-stage version spearheaded by a collaboration between Disney and Cameron Mackintosh and Valley Performing Arts is presenting it in the Glenn Massay Theatre on the campus of Mat-Su College March 30th through April 22. Executive Director for VPA Garry Forrester drops by Stage Talk this week to describe how ambitious and rewarding this project is. ORIGINAL BROADCAST: Friday, March 30 at 2:45 p.m.